1. First, we go to the start button and we click on it. It is located in the lower left corner of the screen. 2. We click on the option All programs to display the menu. 3. Then, we click on Microsoft Office to display the menu. 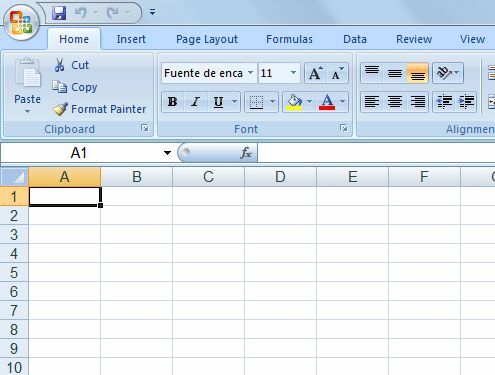 Here, we select Microsoft Excel 2007. 4. This will open the Excel main screen. It's now ready to work.